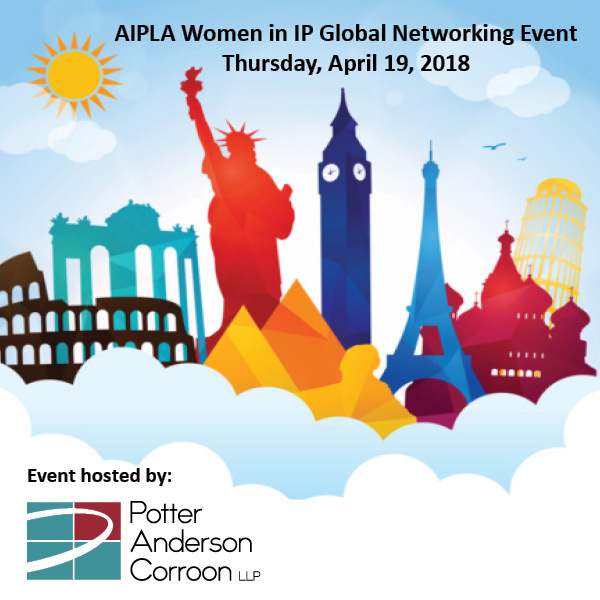 Potter Anderson is proud to host the Delaware "Women in IP" reception in conjunction with the American Intellectual Property Law Association (AIPLA) annual Global Networking event on Thursday, April 19, 2018. This event was one of over 60 taking place around the world as part of an annual global networking event bringing together a community of women who practice IP law and/or regularly face IP issues in the ordinary course of business. We enjoyed an evening of international food and wine while networking with current and former Delaware judges and fellow IP practitioners from the Delaware area. For more information, please contact events@potteranderson.com.